After twenty six years of teaching and learning calligraphy, I was absolutely delighted to hold my first class here in Tasmania on Saturday. 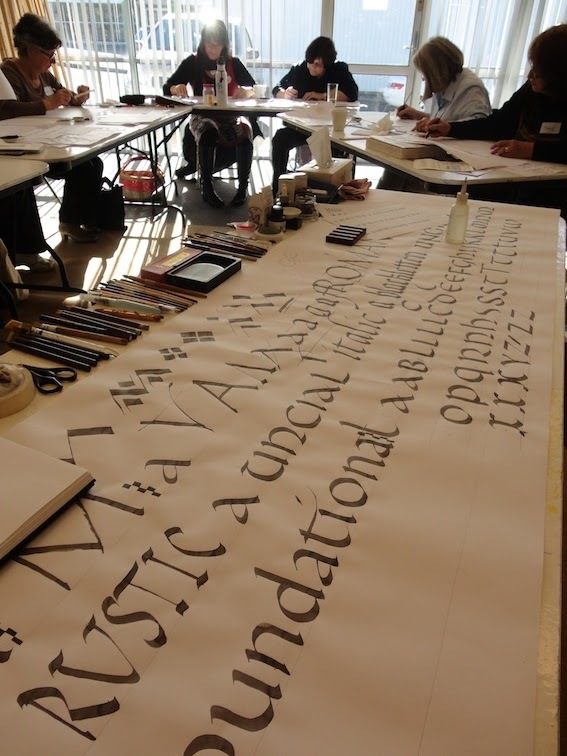 A one day workshop for newcomers to calligraphy. 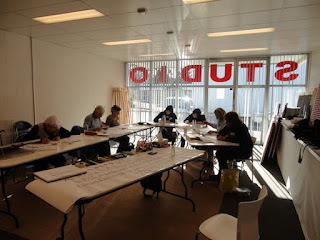 Jane from Artbeat and I got together and decided to put together a series of classes to gauge the interest in the local area. After demonstrations and a potted history the participants enjoyed hands on, dip-in pen and ink and great camaraderie. We all had a fabulous day. There is another beginner workshop scheduled for this coming Saturday (15th) then the first of many continuing classes from Saturday 22 September onwards. I am so pleased to be able to teach locally again. Please spread the news. P.S. on the classes website the image next to the continuing class was what the beginners were introduced to. Edward Johnston was in two minds about which hand/style he would introduce those wishing to learn calligraphy, to. 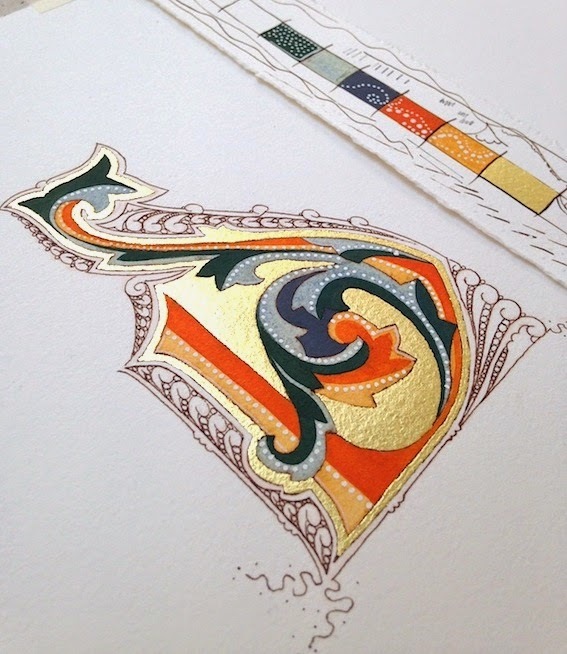 He was alternating between the Uncial or his newly developed Foundational Hand. I have found over my years of teaching that the Uncial hand is a very good learning experience for beginner calligraphers. The ease of not having to be too concerned about ascenders and descenders at this stage, when they are grappling with the intricacies of pen and ink, I feel is welcome.